While the need for instant access and automated everything is standing strong, the ability to balance the speed and ease of technology with the power to build and maintain solid relationships is what will set you apart from the competition. 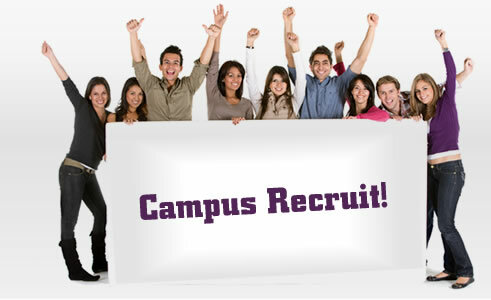 Start incorporating these strategies into your new college recruitment plan and you can look forward to a highly successful campus recruiting season this fall. Strengthen your relationships with Career Services – Beef up your alliances in the Career Services departments of the universities that interest you. Making them your key point of contact gives you a central, reliable location for information and introductions. They can get you opportunities with student organizations, suggest the right department heads to contact and help you build solid partnerships within the university. Get personal – Start getting to know the talent you want to recruit before you even step foot (whether virtually or in-person) at the campus job fair. Using social media, you can track candidates based on their interests, groups and activities and continue to follow those that show potential. Shortly before the job fair, make contact to introduce yourself and encourage them to meet with you during the event for a quick chat. Associating a real and amiable person with your company can go a long way in encouraging top talent to apply and/or join your talent network. Offer internships and create ambassadors – One of the best ways to create a strong talent pool is to provide internship opportunities for college students. They get experience and exposure to your company, and you get to test drive a potential future hire. The relationship you build with interns can be far reaching. Whether they continue to work for you or not, they can make your company name recognized among peers and faculty. They can help market your brand, share information and become some of the strongest ambassadors for your organization. Additionally, if you have alumni working for your company, include them in your campus recruiting activities as presenters, interviewers or just as a friendly face who has something in common. Keep Everyone Well-Informed – Honesty and integrity are key when it comes to building relationships. This is no different in the recruitment process. Let people know right away what you’re offering and what you’re expecting. If you don’t have any immediate job openings during the career fair, be honest about that, but also explain how they could benefit in the future from being part of your talent network now. When you are actively trying to fill jobs, stay in contact with students who have interviewed so they know where they stand in the process while decisions are still being made. Any feedback you can give on their resumes and interview skills will be greatly appreciated as well. It’s also a great idea to keep career services informed about how many students you interviewed, extended offers to, and hired. Let them know how their students’ work performance compares to that of students at other universities you’ve worked with and offer to be part of a regular follow-up program. The university, the students and your organization will all benefit. Remember, it’s all about building and nurturing the relationship so that everybody wins. Here at TalentCirclesTM we can help you do that as efficiently as possible by using technology and tools like TalentCatchTM to capture and organize all the information you gather. Contact us at 415-835-0202 or sales@TalentCircles.com to make following up and engaging with your university contacts and the students you want to keep in your talent network a cinch. What a wonderful post.Thanks for sharing.Its very helpful and makes us happy.Online custom essay writing service is to support and help you get high grade in your academic career.